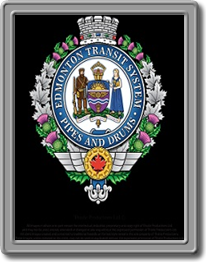 The Pipes and Drums of Edmonton Transit were formed in the summer of 1964 by a group of transit operators interested in Scottish bagpipe music. The purpose of the Pipe Band is to promote good relations between the public and Edmonton Transit on behalf of the City of Edmonton and further encourage the development of the Pipes and Drums form of music. The band is open to all members of the public with a desire to play in a pipe and drum band and offers tutoring for those interested who have no experience. Accord Alberta to name just a few and has, on occasion, traveled as far as Helena Montana to participate in community parades and events representing the City of Edmonton and Edmonton Transit. Community parades are the most frequent programs that the Pipe Band is involved in. The band has participated in mass bands at the Scottish Highland games held each year at Grant MacEwan Park, the opening of Churchill Square in the City of Edmonton and, with the exception of 2004, participated in the Klondike Days / Capital Ex Parades since 1967. The Capital Ex parade in 2008 was especially memorable as the Pipe Band had the opportunity of leading that year's parade with Edmonton Transit celebrating its centenary. 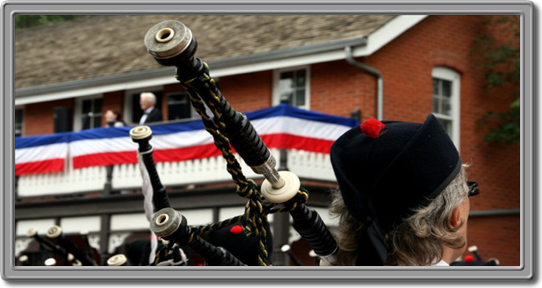 The Pipes and Drums of Edmonton Transit invites and welcomes anyone who has a desire to play, learn and celebrate the history and tradition of Scottish music in the Pipe Band setting.